Jared Unzipped: Racism, Guns and the Confederacy. In the wake of the Charleston Mass Shooting at the Emanuel African Methodist Episcopal Church allegedly (I use this term purely for legal protection) carried out by Dylann Roof, there has been a broad public discussion about many interlinking subjects. Do we still live in a time of racism? Does the assailant represent a larger consensus? Should the Confederate Flag be removed from all government facilities that currently display it? These are all valid points of discussion, to which I'd like to comment. This attack and the revelations proceeding it unfolded while I was away from home. Here, for the first time, I'll state my case on the matter. 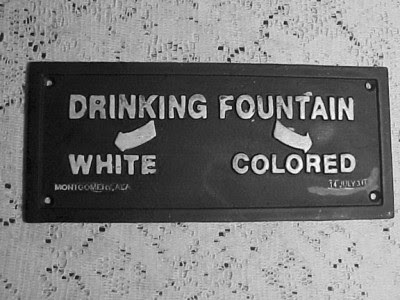 A segregated drinking fountain, common before the Civil Rights Act. Yes, without a shadow of a doubt. Anyone that claims we now live in a post-racial society is either willfully ignorant, politically motivated or simply naive. In my humble opinion, we exist in the greatest time of racial divide since the Civil Rights Era of the 1950's and 1960's. I live my life by a standard that all people are the same -- there is no such thing as white, black, yellow, brown or any skin color in between. Yet, many people do not. This holds especially true for individuals that believe their country is being taken away from them by minorities. Fear is the greatest generator of divisive racial propaganda. Fear breeds distrust between people whom live within the same community. Fear begets racism. 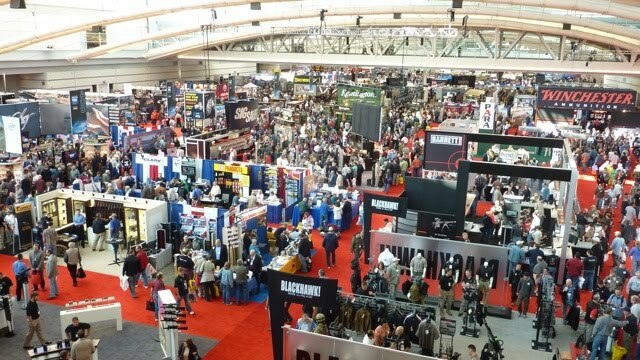 A large gun expo recently held in Pittsburgh, PA by the National Rifle Association. This is a delicate matter, one that men much more accomplished than myself have attempted to solve for decades on end. Firearms are a fluid notion -- they can be a tool, a means for self defense or a weapon. In the hands of a game hunter, a firearm is a tool. In the hands of a responsible citizen, a firearm provides security against violent aggressors. In the hands of an irresponsible deviant, a firearm suddenly becomes a weapon. How do you insure that firearms stay out of the hands of the reckless? There's no method which can 100% guarantee that guns are kept out of the hands of criminals and the mentally unstable (short of destroying all guns, but that's a Utopian ideal most people won't even consider). In studying this matter, I've come to two conclusions. End the inflated American gun culture, where firearms are idolized. Make obtaining a firearm more difficult, much like earning a specialized license. Strenuous background checks simply aren't enough. We should be able to live in a world where we don't have to carry instruments of death everywhere we go. 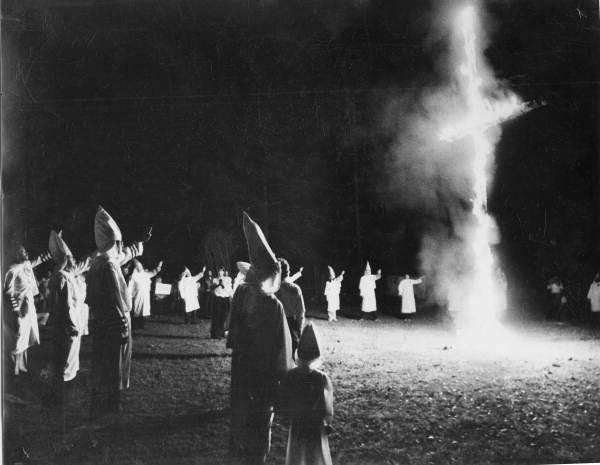 A group of Ku Klux Klan members burn a cross in Florida during the early 1970's. There was a time when racists didn't need to hide in plain sight. At least you could see them. Today, they covertly live and work among us. Yes, just in varying degrees. The vast majority of those that hold contempt and anger for people not of their own skin color would never carry out such a violent act. That's the scary part, though. While said racists won't go through with shooting unarmed citizens, they will let their bigotry influence other more far-reaching aspects of their life. The most influential and dangerous racist is the one whom hides in plain sight, never letting on to their biased agenda. This represents the largest contingent of racists in the United States -- they're your neighbors, your friends, your family, your political leaders, your clergymen, your farmers, your bankers; I could go on and on. You probably already know quite a few racists without even realizing it. 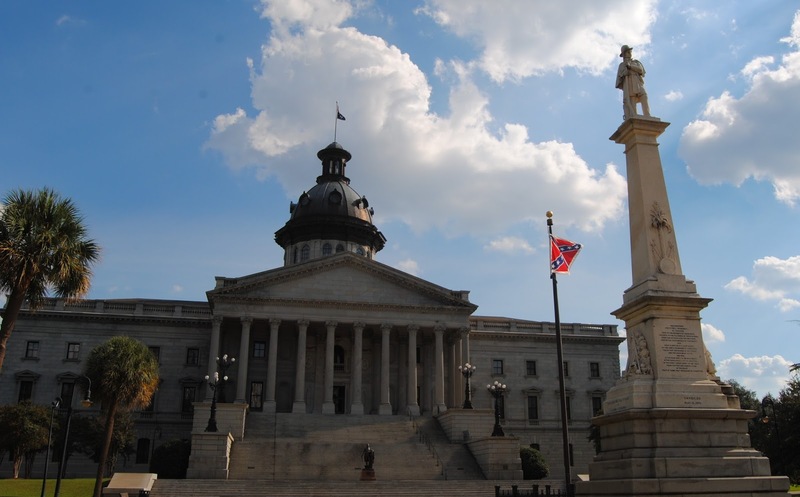 The Confederate Flag still flies outside the South Carolina Statehouse. Absolutely, this is a no-brainer. First and foremost, any and all government facilities within the United States should fly only one national flag -- the Star-Spangled Banner. State government facilities can and should also display their own respective banners. The Confederate Flag represents a republic of states, the Confederacy, that failed to thrive. Existing a meager five years, the Confederate States of America is a long dead construct. To fly the flag of a nation that no longer exists on publicly held grounds is absurd, much less disrespectful. Say what you will about the motivations of the Confederacy, but the Rebel Flag largely reflects a culture of oppression, segregation, ignorance and poverty. I fully realize that not all whom wear the Rebel Flag today are racists. In fact, the vast majority of those that celebrate the former Confederacy do so because of their deep admiration for Southern culture. Though, it's obviously ingenuous to turn a blind eye to how most other Americans (non-Southerners, minorities) view the Rebel Flag -- especially those whom would have been persecuted under it. If you're going to display the flag of the Confederacy, don't be shocked when others automatically assume you're a racist. It's just common sense.